Mz Bratt returns to our screen with another good track and video to go with it. I Like You, featuring Sadie Ama (who proves that looks and talent run in the family), is another anthem for the ladies, so many songs about the ‘girl next door’ have been made, by women too, so here is a fresh new twist with this ‘boy next door’ number, the boy being played by everyone’s favourite bad boy (no not Diddy) rising emcee (or I should say artist) Griminal. This song has a lot of substance, Mz Bratt is being herself and it shows through her music, many female emcees feel the need to approach their music similar to the men and that leads them away from their real audience, this is not the case with Mz Bratt, this is one of the reasons (out of the long list of many) why she is so likeable. With Sadie on the feature, plus cameos by Tulisa (Ndubz) and Lady Ny, there is a strong sense of female unity, not to mention that they all are highly talented, as a whole this video has such a good vibe, it is surprisingly not just for the girls, I reckon the guys (who are not afraid) can watch and enjoy this too, plus the song is catchy and most of all, clean and light-hearted (Unlike many female emcees in the past). 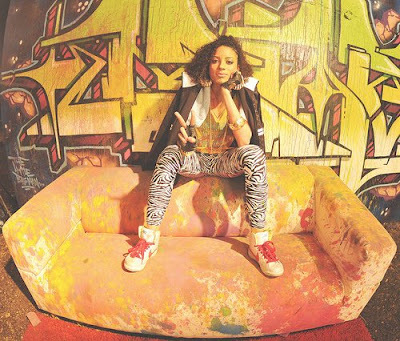 Mz Bratt has impressed me so much in such a short space of time, more so because I know that she is capable of lyrically stepping up to the male emcees, however she is more about the music and fans and has been real and honest with her music, her mixtape was a good insight and I am looking forward to the album. A truly Special woman and artist. I Like Her..I mean, 'I Like You' ..out soon! !